MANCHESTER, Sporting Alert — Manchester United will return to the Champions League on Tuesday night and star midfielder Paul Pogba is delighted to be back in Europe’s top competition. Pogba signed for Manchester United from Juventus last season, despite the club not being in the Champions League, but reveal that he would have rather be playing in that competition over the Europa League. At the same time, though, the Frenchman, who scored in the final against Ajax and claimed the Europa League Player of the Season honor, played a key part in the Red Devils’ success in the tournament and he admits that missing the Champions League helped drive him on. Manchester United will open Champions League action against FC Basel at Old Trafford. “Obviously, I came to Manchester United to play in the Champions League,” he said in an exclusive interview with United Review, posted on www.manutd.com. “I knew, last season, when I signed and came back here, that I would be playing in the Europa League. So the objective was to win that to obviously go back into the Champions League. Manchester United will feature in Group A along with FC Basel, CSKA Moskva and Benfica and many believe it should be easy for the English Premier League side to navigate through. However, Pogba warned that he and his teammates will not be taking anything lightly. “We have a group now and people say it is an easy one for us in the Champions League,” he said. “But the Champions League is never easy. You have got to play against teams who want to beat Manchester United. “We’re just back in it, though, and want to prove to the world that we belong in that competition. “The difference is it’s still big in the Europa League and you still play very good teams, but maybe not the biggest clubs. 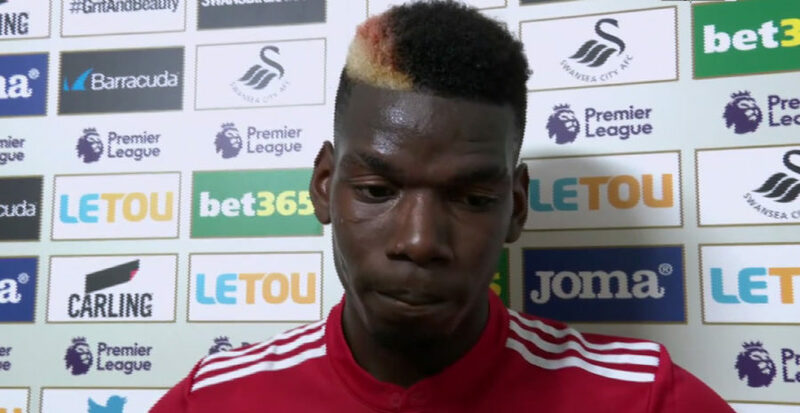 Pogba also added that he even missed hearing the Champions League pre-match anthem. “To be honest, I missed it [the anthem]. I missed it a lot last season,” he admitted. “Just to hear it again kind of pushed me on to give the best. “Obviously, when you hear that music, you just have goosebumps coming. You are excited.